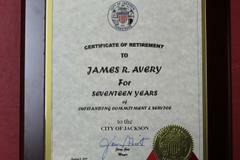 After seventeen years of service to the Jackson Police Department and the City of Jackson, Officer James Avery retires. 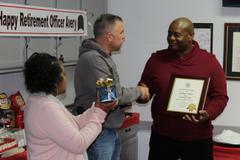 Officer Avery was not only a dedicated police officer to the City of Jackson, he was also a Traffic Reconstructionist, Training Officer, and friend. 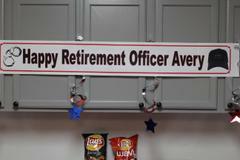 On behalf of Chief Wiser and the entire staff at the Jackson Police Department, we wish Officer Avery farewell as he transitions into the next phase of his life and career. Job well done! !